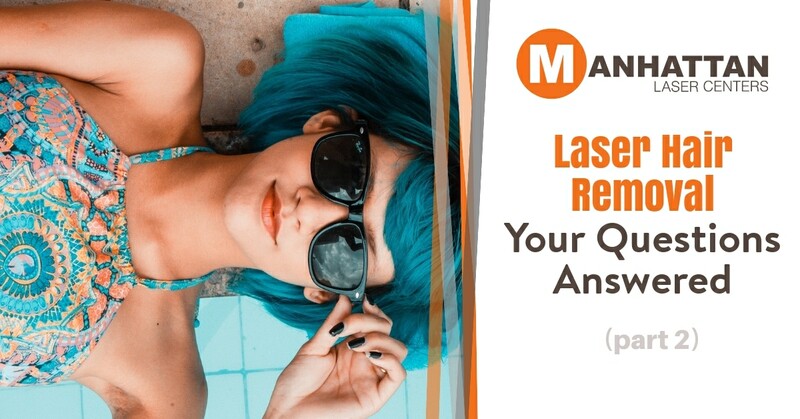 We are taking time to answer some of the most common questions people have about laser hair removal. New York City has many providers to choose from and it is important to select one who is knowledgeable and experienced. Manhattan Laser Centers uses true medical lasers for laser hair removal. NYC practices that use intense pulsed light (IPL) often falsely claim to use medical lasers. Electrolysis treats one hair at a time. Medical laser hair removal can treat multiple hairs with each laser pulse. Electrolysis is usually pretty painful and takes much longer than medical laser hair removal. NYC residents and those in surrounding areas choose Manhattan Laser Centers because we use true medical lasers. Laser hair removal using true medical lasers is not only effective, but safe. Manhattan Laser Centers is the preferred choice when seeking medical hair removal in New York City because we use state-of-the-art Candela medical lasers and our staff is highly qualified and experienced. Does a medical laser emit dangerous radiation? Absolutely not. Medical lasers use non-ionizing light, which is completely safe. This should not be confused with ionizing radiation which is often used in x-rays. Medical lasers do NOT use ionizing radiation. How long will my laser hair removal session take? This depends on the area being treated. Smaller areas such as the lip or chin may take a few minutes. Larger areas such as the chest or legs will take longer. We can give you an accurate estimate of time once we evaluate your needs. When it comes to laser hair removal in New York City, no one can hold a candle to Manhattan Laser Centers. Schedule your appointment today!